Moving to a new home is a lot of work, starting long before your NYC movers show up on moving day and continuing long after they’ve left your belongings at your new home. Trying to get settled, and out of boxes quickly can sometimes feel as though it is an overwhelming, never-ending task. Below we’ll discuss a few tips that make the task at hand easier to take on, getting you settled into your new place in no time! It is also a good idea, if possible, to have your movers load these boxes onto the truck last so that they are some of the first boxes to be unloaded. As soon as these boxes come off the truck, tuck them away in the bathroom so you don’t have to hunt for them when you need what is in them. Get your kitchen set up. Once you have completed the task of unpacking your bathroom, it is time to start on the kitchen. If possible, start by unpacking the boxes that contain your dishes so that you can enjoy a glass of water or have something to eat amidst all the unpacking that is going on. Try to arrange your kitchen in a way that provides you with easy access to cutlery and dishes during meal preparation. Make your beds. As tempting as it might be at the end of an extremely long day to just crash without making your bed, resist the temptation. Take a few minutes to locate your sheets and bedding and quickly make your bed. This will help to ensure that you have a good night’s sleep. Be sure to clearly label all boxes containing your bedding, so you aren’t hunting through everything trying to find them. Determine furniture layout. Before you begin to move large, heavy furniture into your home, determine where everything is going to go. It is easy to move small items around, but it is more difficult to rearrange large furniture multiple times. Try to determine how you want everything to be placed before you move it in. This way you won’t have to move large items around to get the right look and feel for your space. Don’t procrastinate. While you might be tired and tempted to put off unpacking for another day, try to resist. Unpack as much as you can as quickly as you can so that your new home starts to fill like yours. Having excess boxes hanging around can be stressful and a nuisance to have to navigate around. The sooner you can empty boxes and get them out of your home, the sooner you’ll be able to sit back, relax, and enjoy your new home! At American Movers we know that moving is stressful, which is why we work tirelessly to help you have a pleasant experience without adding to your stress. 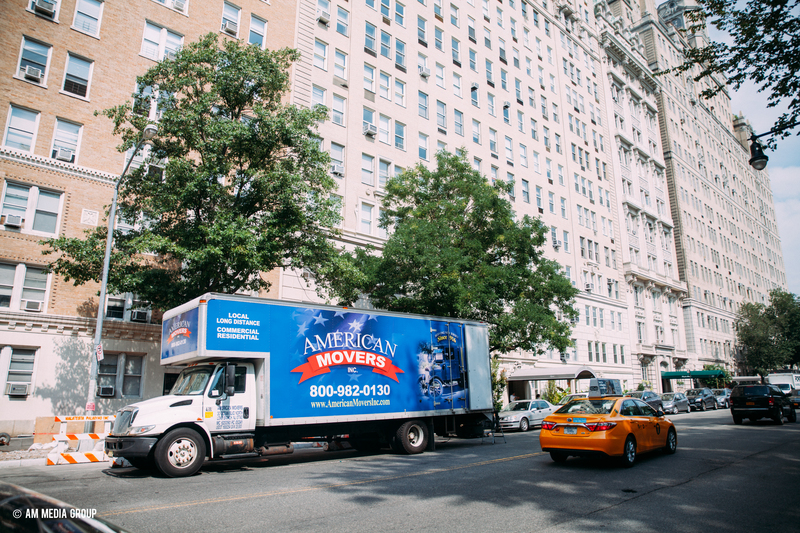 When you are looking for reliable NYC movers to help you move around the corner, across town, or to another state, you can count on American Movers to help you have a pleasant moving experience. Contact us today to get a quote and learn more about how we can help you have the best experience moving!